Slept like logs on bolders last night- nice here is the relative absence of nuisance insects due to the lack of moisture I assume. Our wet clothes all dried overnight in this low humidity environment. Beautiful warm conditions again – balmy calm and hot sun beating down. 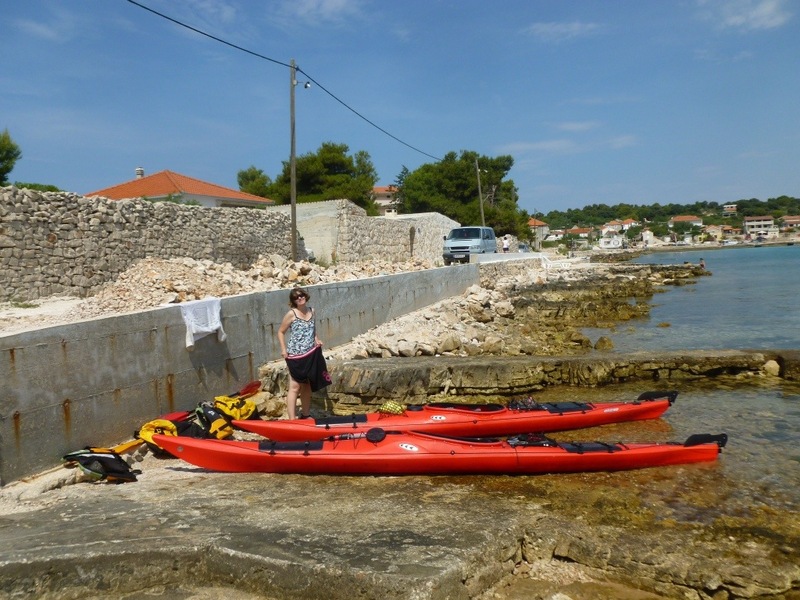 We are both having to make an adjustment from not paddling for a while – ie no training for this trip. It will take a few days and we will feel stronger. 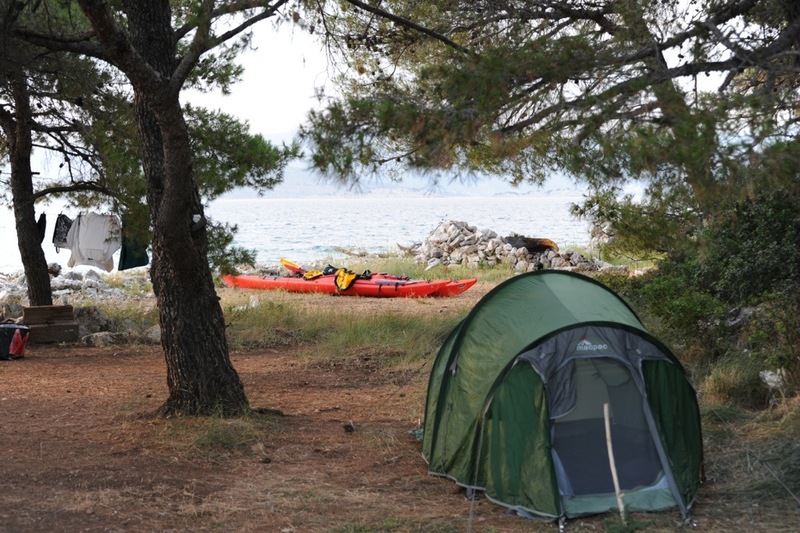 very difficult landing here – Croatia is not blessed with an abundance of beaches so one needs to manage as best one can – this time a struggle over rocks – but a great shady campsite. 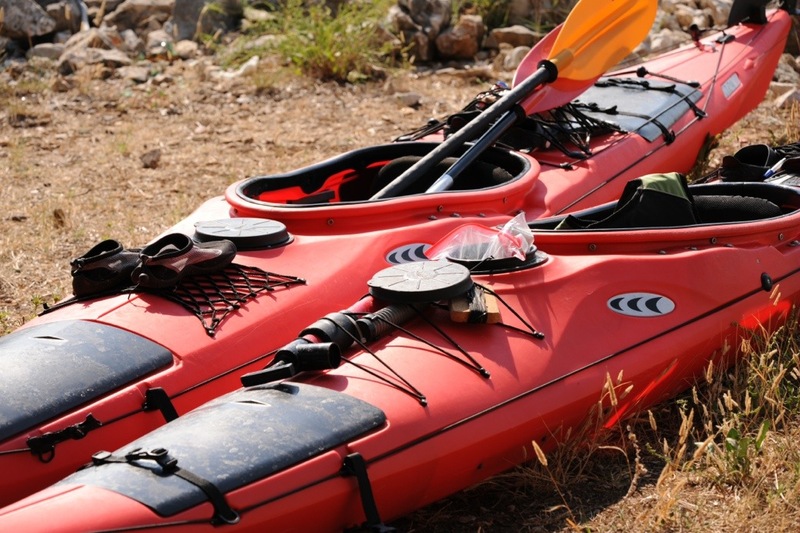 Red Adventures have some cool kit for hire. 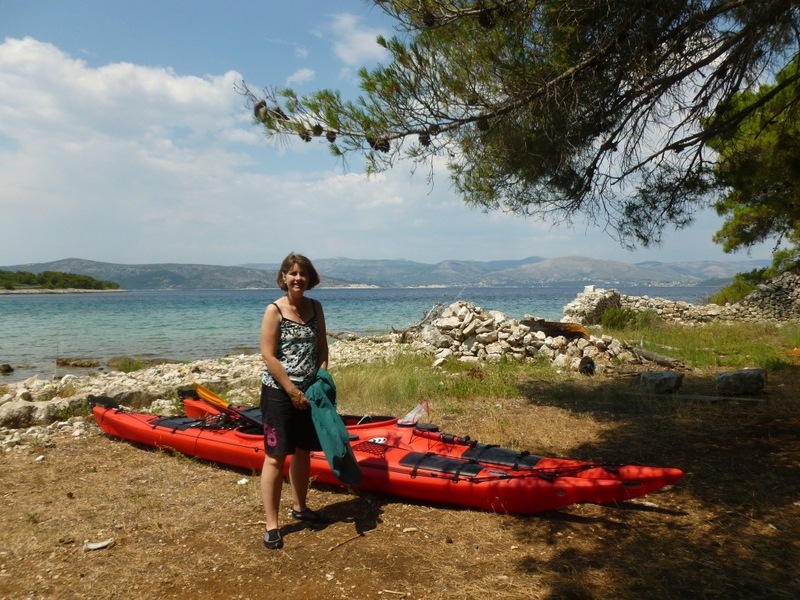 Here we have to new Prijon quality sea kayaks – barb has the 5 meter touryak and I have a 5.2 meter seayak. From the very first paddle it is apparent that these are comfortable paddling boats with no bad habits. I like them even if they are heavy compared to our Kevlar glass boats at home. 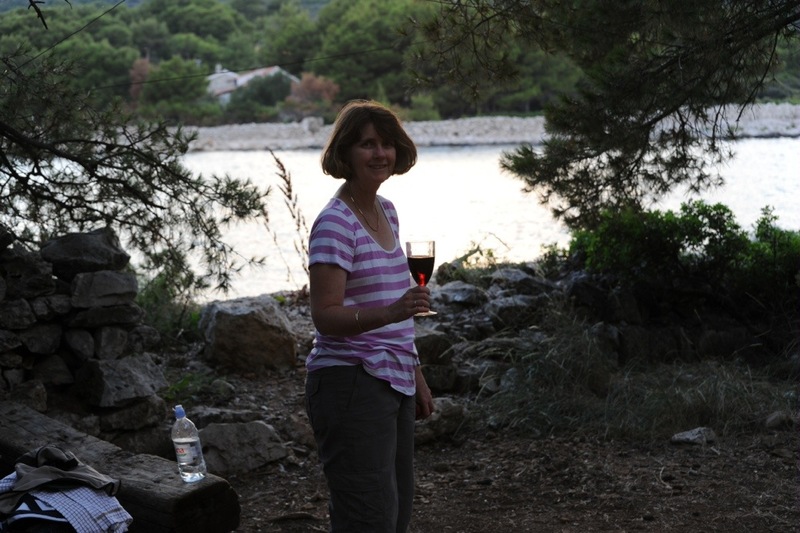 Great campsite tonight – but the place is rather overloaded with flotsam and jetsam and stuff dumped by uncaring locals. We are carrying all our rubbish out and dumping at the nearest towns – wish locals had the same attitude. Is it OK for a swim after your days paddle? Any new ideas on gear to bring Home? 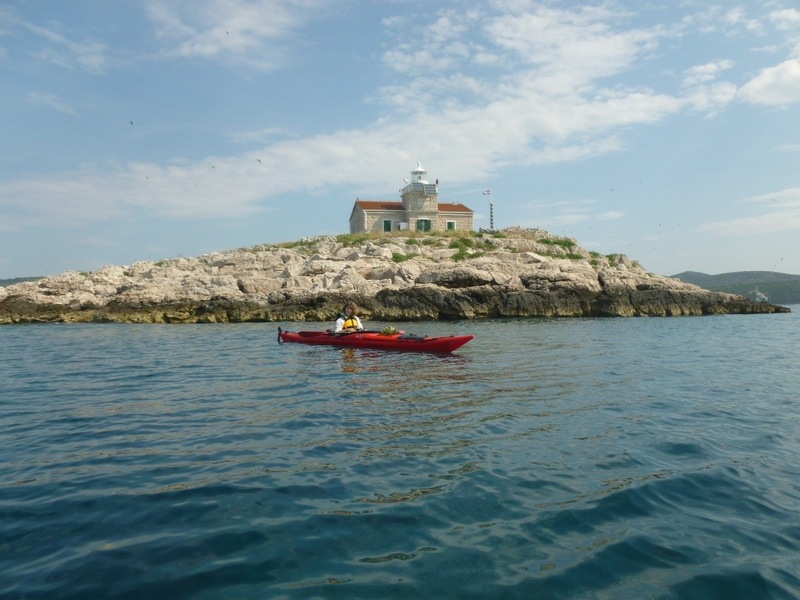 Swimming is great here – water warm , rocky bottom but no sharp oysters etc. Just the sun to contend with. Are you carrying all of your food (and wine) or do there just happen to be villages where you plan to go? Oh for some warm dry weather! We had about 5 days food aboard , including wine , 10 beers and a bottle of single malt, but we can buy some food soon as we pass bigger villages soon – also have a plan for my 60th on 24th to hotel it at a place called Bol. very hot and dry here – perhaps we’ll stay. I think you mean 14th…. 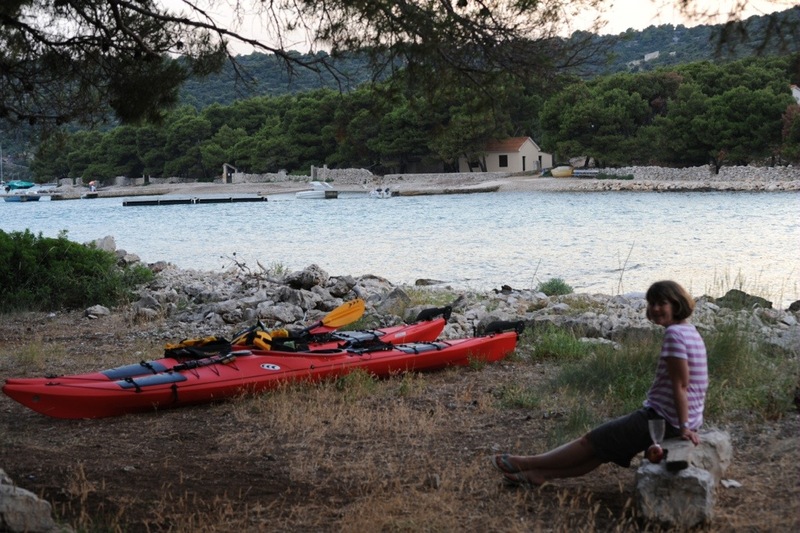 we stayed at Bol, on the island of Brac where my grandfather came from. Actually the town of Novo Selo. I still have relatives there, if that’s the island you’re referring to.